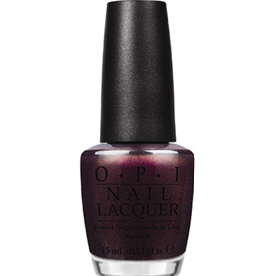 OPI Nail Polish, Muir Muir On The Wall, NLF61, .50 fl. oz. Shimmery dark plum with gold and green flash duo chrome nail color.